before his final and disgraceful resignation on August 9, 1974. I hope you all had time to do some reflection. Let us, please, continue our discussion on the current political drama in Ethiopian. Our other problem is our uncompromising insistence to have a more perfect western like democratic political system overnight. But some of us did not take the time to fully understanding its growing pains and its short comings. How many of us do follow the political issues, corruptions, and injustices in America on a daily basis? How many of us participate in electoral process to support or oppose initiatives and candidates, and to contribute funds to elections? The American political system we are trying to emulate went through long and arduous process. Even with all the money in the world, all its technological advancement, and somewhat conscious citizens (at least on domestic issues), the American system is still not perfect, not even close. To learn more on the American democracy lifecycle, I suggest you buy the “The Presidents” DVD set from www.historychannel.com. That will show you the oppressive and dictatorial nature of the former American leaders and their administration. Just to mention a few examples: as for corruption, last month, we had the Jack Abramoff’s scandal where a powerful lobbyist gave million of dollars to several government officials to gain influence. And we are waiting for some powerful politicians to be indicted. And, as for injustice, even as recently as 40 years ago, African Americans have to struggle for equal treatment and for voting rights. The struggle gave birth to organizations like the Blank Panther party and the Nation of Islam both of which advocated a violent means to end “Jim Crow” and other discriminatory laws against Black Americans. Leaders like Malcolm X (Shabazz) came on to the stage and they advocated freedom by "any means necessary". But at the end, even Malcolm X changed his mind after traveling extensively and meeting diverse people. Please let us not simply be obssessed with the western like democray and forget to appreciate the democratic roots taking palce in Ethiopia. How many of us follow up with information about Ethiopia from government outlets? How many of us watch the videos from Parliament sessions? How many of us really take time to read about news from all sides and scrutinize issues from different angles before passing judgement? I have asked some of you, and you do not even know the website addresses of our government and other pro-government mediums, but you have memorized opposition websites that are constantly preaching end-of-EPRDF and forceful Ethiopian unity propaganda. Now a days, it appears like one is not considered fashionista if one does not talk about the Ethiopian government killing and imprisoning children. Most of you talk about the shortcomings of the government you read on opposition websites, but when I asked you to back it up with evidence or asked you for reasons why the government did what it allegedly did, you just simply said, “It is all over the internet.” and “Oh I saw it on the internet.” The internet is a no-mans land, my brothers. Unlike Television and Radio which are unders strict supervision of the Federal Communication Commision (FCC), the Internet is neither controlled nor regulated. Anyone and everyone who has access to a computer can write and post anything. I should know; as I am one of those writers and internet users. As a matter of fact, all you need is $9.99/month to own your own domain name and host your own website, I am thinking to buy the rights for www.KebrarawGonderie.com or, may be, www.AintItGonderie.com, what do you think? My brothers and sister, we need to be better informed using all available outlets so that we can become a well informed citizens, and most importantly not fall prey to ethnic preditors. Do not be afraid, in addition to opposition websites, navigate to www.waltainfo.com, www.ena.gov.et , www.aigaforum.com, and educate yourselves. That is what I did to be christened with the truth. While doing so, if you see any one who questions your desire to become well informed, who questions your loyalty to Ethiopia, and who suspects your motive as a “hodam Amara”, then they are neither your friend nor a friend of your people. They may have a hidden agenda of their own and want to indoctrinate and brainwash you with one sided propaganda. You think you are too smart to fall for it? Well my friend, listening only to one sided school of thought is not different than joining a cult. Remember the Davidian cult in Waco, Texas? For your information, a whole lot of otherwise smart Americans joined a religious cult founded by David Koresh. Before long, Mr. Koresh advised them to come and join him in his isolated camp in Waco, Texas. Once inside his isolated residence, he started preaching to them that he is the Jesus reincarnate. It did not take too long for all of them to believe his absurd claim, as there was no one around to counteract his claim. Finally, the government got involved as they had information about some children were being abused inside the camp. In the ensued confrontation between the Davidians and the US Federal Agents, all the Davidians chose to light fire and burn themselves to death with their savior David Koresh-the reincarnated “Jesus”- than be caught by the government. You see, consuming one sided information is dangerous to your health and to your life. The opposition is so determined not to let you hear a dissenting view, they still refuse to publish my articles. I wont stop sending them my articles, however. Another lesson in American political system is the separation of the three branches of government. We need to respect the separate authorities all the time, and not only when it suits us. And we should always insist that there should not be overlapping of authority. For example, you see, George Bush does not have the authority to release a criminal from prison, because crime and punishment is under the courts jurisdiction, meaning it is the responsibility of the judiciary wing of government. After the legal system takes its course, George Bush is at liberty to pardon the convicted criminal, but not until the criminal had his day in court. That is how it is supposed to work. I personally like to see the CUD leaders get released on bail until they are convicted or exonerated. I am sure our development partners will be more than happy to provide our government with an electronic monitoring mechanism. Click that puppy on their ankle and you will know their whereabuts, and you can programme it to restrict their movement to a given radius as well. That is what I would do. But, you need to understand that that is why Prime Minister Meles says he does not have the authority to release the CUD leaders, or, wait, may be it is because he cannot find them as they have become spirits and flown up, up, and awaaaaay. Sorry, I just could not resist taking that shot. If the opposition is constantly questioning the legality of our institutions, then it gives the incumbant governing party an excuse to violate the laws of the nation as well. You cannot violate laws yourself and expect the other party to operate with respect to the law. It has to be based on a mutual respect of the law. A case in point in our recent memory is what happened in Florida. Former presidential candidate Al Gore, while making his concession speech, said that he did not agree with the decision of the Supreme Court of United States which declared George W. winner of the 2000 Presidential election while the ballot were being counted. But he said, the legally authorised body, the translator and protector of the US constitution has made its decision and he has to accept and abide by it. And he departed after he wished good luck to Bush W. and blessed the nation. That is the beautiful and civilized American experience. Going against the accepted rules of engagement, after NEB, our legally authorized body rendered its decision, the opposition elected not to respect and abide by it. I know it is too late, but can you imagine what would have happened and can you envision how bright the future would have looked in Ethiopia had the opposition delivered a similar concession speech to that of Al Gore? My friends, it is hard to loose, but it's more important to accept defeat and continue the fight to win in the next round of elections, to prepare the precondition so that future alleged vote rigging is eliminated at best and minimized at the worst. To that end, among other things, the court has made a decision to allow domestic civic organizations to monitor elections, and it should help in that regard. And need to work with the government to make sure new NEB members do not have an overlapping responsibility of being a Justices in the Supreme Court and a chairman of the election board at the same time. And that process has already started. According to the speech deliver by the Prime Minister on his mid-year report to the parliament, the government has employed several experts from foreign countries to research and present election reforms and parliamentary procedures. Rightfully so, the opposition parliamentarians voiced their concern that they are not included and their opinion is not solicited. I think the honorable Parliamentarians are correct and they should be given a chance to contribute to the betterment of the process. It may not be what you like to hear, my fellow Gonderie, but our vision for a full fledged democratic Ethiopia should be long term oriented. Because of the developed consciousness level of our urban society, the exposure and lifestyle of the Ethiopian Diaspora, and the recent and future technological advancement in our world, coupled with a little bit of luck, we will be fortunate if we get there within the next 10 to 25 years. But some of you want it right now, and I have heard some of you talking about the electorate not willing to wait that long. You claimed the electorate made a decision for elected officials not to join the “illegitimate” parliament. There several major issues with this approach and it exposed the opposition’s significant lack of experience in political leadership. To begin with, the decision should not have been presented to be decided on in public discussions. The other is that the opposition should have been completely clear on two issues. First of all, there is no way in hell you can be fully certain as who has won the election. Let alone in Ethiopia, we had a difficult time calling out a winner in the US twice, once in Florida in 2000 and again in Ohio in 2004. Second, as I said above, we need to respect our legal institutions and accept their decision. The legally authorized institution, NEB, has rendered a decision and declared EPRDF a winner, hook line and sinker, case closed. The elected leaders are leaders not followers. They have better access to intelligence from diplomats, and they should anticipate their opposition’s (the current government) move. It is worth mentioning the honorable MP Lidetu Ayalew’s interview on VOA here. I encourage you to listen to it as I may not do him justice; the honorable Member of Parliament is very articulate. When asked as to explain on why he refused to put his signature on the CUD merger application, he clearly outlined what NEB would do the minute the document was signed. He said that the CUD leadership was being ambivalent; on one hand CUD is dismissing NEB as illegitimate body for declaring EPRDF as a winner, and on the other hand, the CUD leadership is sending a party merger application to NEB for approval and to gain a license. The honorable MP Ayalew continued that the minute NEB received the application, it will first ask the merging parties to surrender their previous license, as they should, and before issuing a new merger license, NEB would require of CUD to meet several precondition including accepting the legality of NEB, accepting NEBs decision of EPRDF as a wining party, and a promise to join parliament. These are all points the CUD leadership had refuse to agree on. At the end, Mr. Ayalew reasoned, all CUD member parties would be left out in the cold without their party licenses. He advised them to wait until the election impasse was settled and to proceed with the merger at a later date. They did not believe him, and Mr. Ayalew complained that the opposition party had no leadership, and he accused the CUD leadership as leaders being manipulated by EPRDF, as CUD leaders only reacted to the actions of EPRDF. He has a point, and it was my impression as well. EPRDF understood the childish and politically immature nature of the CUD leadership, and EPRDF played them like a violin. Well you know what label was thrown against Mr. Ayalew and the rest of the story. The notorious opposition website, which at one time called Berhanu Nega a sellout for hinting on joining parliament, had a field day with the honorable MP Ayalew. The CUD leaders and followers do not take time to study the personality and capacity of the incumbent party leaders. Had they done that, they should have been able to explain to their electorate the risks of not joining parliament including an anticipation of loss of their parliamentary immunity; suffocating if not killing the infant democratic process; the possibility of making it impossible for other opposition parties to compete in the future. By the same token, by joining parliament, they should have explained that at least they themselves will gain legislation experience. Campaign rhetoric is one thing, but passing legislation and governing a country is a completely different story. Remember President Bush Sr. promising us “Read my lips, no more taxes.” Well, after two months of taking office, he imposed on us the largest tax increase in the history of America. A courageous opposition leader could have even argued things would not get worse with EPRDF for the next five years. If any, things will most likely get better. The opposition could make a case that the government has already promised to revise and improve the implementation of its policy so that it can win the next election in Addis Ababa. In reality, EPRDF will review and change some of its policies for its own survival come the next round of elections. And EPRDF leaders are not getting any younger either. As hard as it is for the opposition to believe, EPRDF leaders are getting old and they may be thinking about a comfortable retirement. But who do they transfer it to, certainly not to CUD. Speaking of retirement, I wonder how much the government pays, because someone hinted that I am doing this to secure my retirement pension from the Ethiopian government. You have no idea the type of e-mails opposition members send me, anyway, rest assured, I am barely in my 40s, and according to the US retirement pension rules, I will become eligible at the age of 67. That means I have 27 working years ahead of me. I hope I did the math right this time around. Here all I can say is that all of us do not even know what kind of family the opposition leaders have, but we rushed to entrust them with our lives and with our country’s future on account of their academic achievement. I have a confined academic background myself, but I know I am not qualified for that demanding level of responsibility. Have you looked around and asked how many Doctors are leading the most successful western democracies? In America, I can only remember one professor, the late Senator Moynihan of New York and one current MD, the current senate majority leader Senator Frist of Tennesse. Those are the only two I can come up with. As for me, I prefer the “devil I know than ….” Oops; I almost called them angels. That would have bolstered their claim that they have become spirits. At least with EPRDF, I know what we are getting, but I get scared of the opposition until it proves itself that it is capable of governing by starting from local government and parliamentary legislation. Even in America, one would not dare to declare candidacy to become President until one has accumulated enough experience in lower level governance. Otherwise, the opposing party’s nominee will shred him to smithereens. Think about it, even in an Ethiopian Iquib setting, a new member is allowed to collect only the final draw, after he/she proved that he/she has enough income and gained the full trust of the rest of the Iquib members. And yet, we want to let these individuals we hardly know, whose “angelic” leader cannot even articulate a better economic plan than saying “I have my personal connection.” to lead our nation? A leader, in his futile attempt to insult the Prime Minister, who ended up insulting all of us Ethiopians by calling us “double faced”. This is one of the cases where you say thank God that the average American or European did not pay attention to African politics. If they did, all our motives and actions would have been second guessed by our bosses. This is a leader you want to lead our country, who, in his own words, has said he corroborated with Mengistu to save his own children while the rest of Ethiopian children were murdered in mass. The opposition would have served us and themselves well had they taken over Addis Ababa. An opposition party winning and governing a capital city is the first in Africa, and certainly the first monumental historical achievement in Ethiopia. The opposition dismally failed to capitalize on it, and chose to engage in street violence and ethnic mongering. In their futile exercise to minimize the damage the opposition inflicted on our infant democracy, they claim that their decree is designed to only discriminate against EPRDF supporters and not Tigraians. Assuming that even this absurd claim is justifiable, how do they propose to identify EPRDF supporters? Are they going to stop everyone and ask for a membership IDs? It does not take a savant to figure out their hidden message. And some of their idiot followers are implementing the decree indiscriminately against anyone who appears to look like from Tigrai. I will say it again: the opposition party CUD is overtly and covertly encouraging hate. I have yet to see a public apology for their decree. Instead, CUD continues to publish a copy of their decree on their website as it is being issued and approved by their satellite offices. I heared from close friends, that the husband and wife duo with the notorious and oxymoronic Andenet TV in Seattle continues to remind their listners, on a weekly basis, that the decree to discriminate is still in effect. As a matter of fact, please take note here; if you do not join their planned protest on Friday, Feb 10, you are subject to discrimination. All I have to say here is that the husband is a fellow Gonderie, and I reserve judgment and only say he should know better. On my follow up articles, I plan to provide some advice on how we can silence these preachers of hate who are using tax payer funded public channel to spread hate, violating the rules of conduct. All we need is a recording of their broadcast. The other and the latest decree came to us from the residents of Columbus, Ohio. I guess they call themselves “Ye Quret Qen Lijoch.” It is posted on CUD official website, if you like to have the honor. Unless the opposition raucous mouth pieces are still living in their ivory towers, the ugly faces of hate and discrimination against anyone who is from Tigrai is out there graphically displayed for all to see in the virtual world. All you have to do is navigate to some CUD supporter discussion websites. Here down on earth, on the other hand, and not to be graphic, I will give you two real world examples of hate: two weeks ago, I went to offer my condolences to a friend whose mother has just passed away in Ethiopia. When I got there, a friend who got there before I did told me that I missed a heated discussion where several people were bashing a Gondarie. Later that evening, I called the Gonderie (a close family) and asked her about the arguments at the Leqso bet. She appeared very upset and she told me that those people were hurling insults about people of Tigrai that she had to beg them to stop. Despite her insistence, they continued their Tigrai bashing and told her that, if it was not for speaking Amarigna, Gonder would have seceded from Ethiopia as well. Finally, even though she is a Gondar and Shoa descendant, she had to lie and tell them her mother is from Tigrai and beg them to stop insulting her parents. They believed her and they stopped. Good job our sister. You are following your fathers and mothers footstep. Who among other Ethiopians knows our Tigraian people better than us Gonderies? If not us, then who will stand vanguard for our fellow Tigrai Ethiopians in their time of need and when they are unjustly prosecuted in the CUDs court of public opinion. Even the Semien Mountains did not stop us from becoming blood brothers. We know our people and we are willing to die with them, as we are well aware that when a Tigraian loves you and respects you, it is till death do us part and they will do the same for us. You know, that reminds me about our loving parents. It was about five years ago, when quite a few of Eritreans from Gondar were being arrested and deported from Ethiopia, Gondere's tried to resisted their arrest. When the Eritreans were staying in camp waiting for their final departure, the people of Gondar supplied them with food and drink for about two weeks. On the day of their departure, Gondere's came out crying as if they lost an immediate family member. Gondar is always on the side of the persecuted, the weak and the helpless. 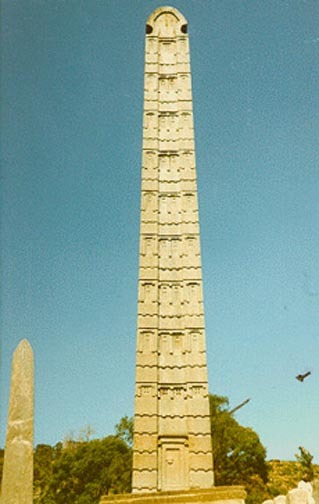 Both Tigrai and Ethiopia are today are at a cross road. Tigrians will tell you and you can see for yourself that they gained nothing as a result of "woyane" being in power. They have rather become scapegoat by all sides. That is why today our sister and all other Gonderes, inside and outside of the country, are sympathetic to the Tigrian cause. To a Gondere what is popular is always the truth. The truth is always Ethiopian unity and love. To the Gonderie what is at stake today is Ethiopian unity and there is no Ethiopia without Tigrai. What the Gonderie did five years ago, standing on the side of Eritreans at that dreadfully moment is their reflection of Ethiopia's past, present, and future. The same reflection is what encouraged our sister and every other Gonderie to stand against the deluge of hate today. We do not have a hidden agenda here, it is just for Ethiopian unity, and the hate mongering opposition is wrong big time. For the life of me, I am not sure who they consider Ethiopian anymore; if not Gondar and Tigrai, then who else? You see them wrapped, just like a Mexican burrito, with Ethiopian flag and screaming at the top of their lung. A minute later, they turn around and engage in denouncing the very Ethiopians who they claimed to love and protect. The second example is a conversation I had with a friend, and he is an Amara and he is from Addis Ababa. He told me that his mother has had a poor neighbor and a friend from Tigrai for over 30 years. 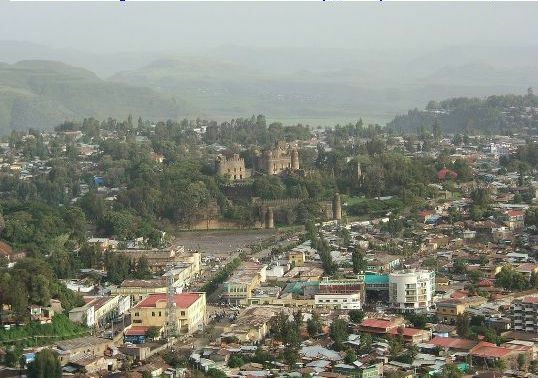 Some in the neighborhood are not only discriminating against the person from Tigrai, but they are also not in speaking terms with his mother as a result of his mother’s relationship with the person from Tigrai. How would you feel if the person being shunned by all the neighborhood and being discriminated against was a Gondarie? How would you feel if this was your grandmother, mother, or sister? Ask yourself, what would you do if your poor relative was in the same situation at no fault of her own, she may even have voted for Kinijit? You see, there are real people and explosive emotions with interpretation and implementation of the malicious CUD decree, no matter how you like to spin it. Is this the kind of Ethiopia we want? These are but only two examples of the mentality the CUD decree instilled in our people. These are only two example of how the decree is destroying lives and relationships that took centuries to build. I will close part II for now. I plan to discuss the alleged pillage of Gondar, boycotting Dashen Brewery and Pepsi, cronyism in our government, Tigraians holding all position of authority, and the annexation of Humera into Kilil one. And most importantly I will expand on strategies to meet the three objectives above outlined. God bless our country and our people.